Graham Allen cares enough about America to defend its values, so each week in the “Dear America" podcast, he and his band of unapologetic patriots tackle culture and politics head-on. No topic is out of bounds. Irreverent, unfiltered, and straight from the heart, Graham will always tell America what it needs to hear, not what it wants to hear — with some good laughs along the way. Ilhan Omar thinks 9/11 was just a case of "some people did something," and Graham and the crew dig into the backlash that has followed—with a little backlash of their own. Also, Dan Crenshaw rightfully defends himself against the hatred of AOC. In the very first episode of Dear America, Graham Allen and the crew discuss the recent Mueller report bombshell: No collusion, no obstruction, no proof of crimes. Trump is exonerated. While the media and Hollywood are imploding, Democrats are looking for more ways to sow chaos. 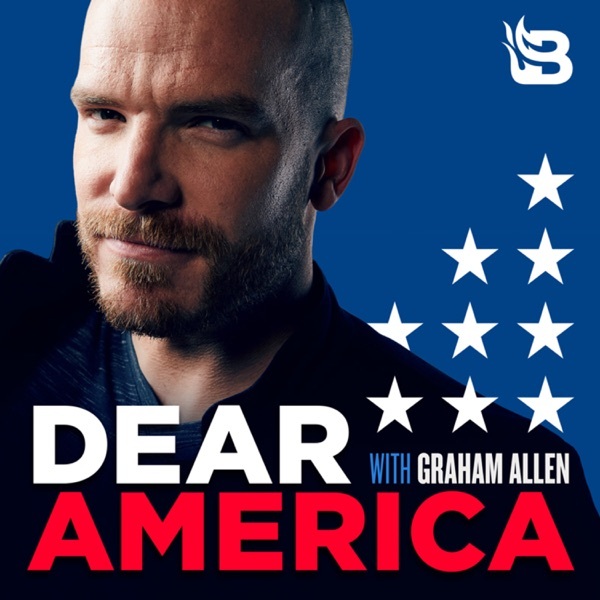 Dear America with Graham Allen: Irreverent and unfiltered but always from the heart, Graham Allen tells America what it needs to hear, not what it wants to hear.